The Honda S660 Roadster has been one of the most loved kei cars from Japan. The small roadster, which has been in production for less than three years now, shares its platform with the Honda N-One. 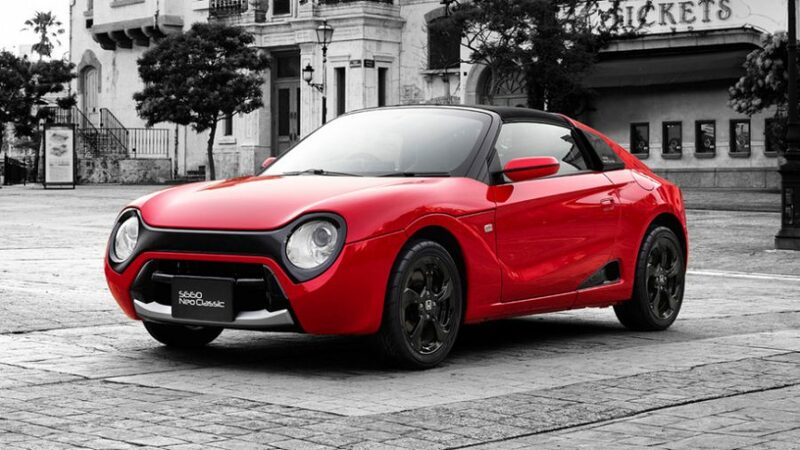 Around two years ago, Honda gave the first hint of coming up with a retro-styled version of its small, mid-engined, lightweight roadster. Unveiled at the 2016 Tokyo Auto Salon, the Honda S660 Neo Classic Concept looked quite classy and carried many retro touches through a body kit. Over the last two years, the S660 Neo Classic prototype was refined to make it production-worthy. Finally, Honda has introduced the production version of the S600 Neo Classic and we can’t help but marvel at how well it transforms the regular S660 to something that looks totally different. The new body kit gives the small roadster a neat retro touch through a set of round headlamps and taillamps. The bumpers are more curved and so are the new fenders, grille, and hood. These new parts are built using fibreglass-reinforced plastic (FRP). The panels that are a part of this body kit are delivered unpainted. Honda says that the customers will anyway want to paint the panels as per their requirements and so, there’s no need to offer painted panels from the factory. The round headlamps for the Honda S660 Neo Classic seem to take inspiration from the classic N600 and even the N-One kei car. The front fascia even looks a bit like the company’s Spots EV Concept. The sales of the Honda Neo Classic kit will start from September 21 2018. It will be sold in Japan only and will cost a whopping 1,296,00 yen (Rs 8,46,950). The price doesn’t include the cost of installation and the paint. While the Honda S660 Neo Classic is quite expensive, it does lend a very likeable retro touch to the small roadster.